The announcement on Tuesday that the ACT will receive a concessional billion-dollar loan may come as a relief to many ACT households but for others, the nightmare continues. With many believing that the ACT has once again been stung out of a fair deal by the Commonwealth, and with ACT Chief Minister Gallagher insisting that it’s the Government’s intention to have every one of the 1021 homes bought and demolished within five years, residents are still left with many questions. In light of the Commonwealth effectively giving us nothing, the ACT Government intends to recoup some of the costs by buying affected properties, rezoning them, and then subdividing the block for resale. This will result in many households being forced to downsize if they choose to rebuy from the same block. There are no plans to compensate residents who are out of pocket due to unfinished renovations, and Gallagher has not ruled out compulsory acquisition. Other than the personal hardship experienced by residents, there is much political hardship to come for the Chief Minister and her Government. 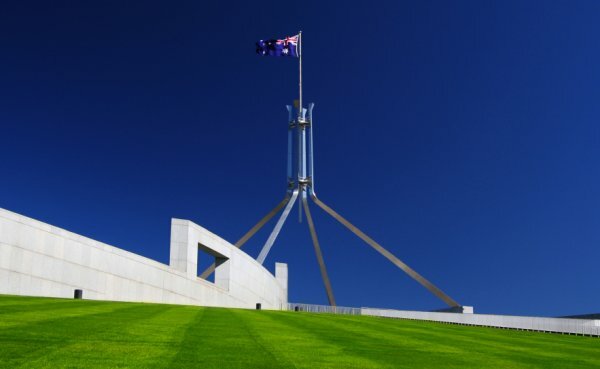 We can expect to see the bipartisan ‘goodwill’ come to an end as the ACT Opposition will undoubtedly press the Government on an already strained budget. Although, this strategy could fail as the fluffy fiasco might be the very out the Government needs from light rail. One thing is certain; the next two years will undoubtedly be the greatest challenge of Gallagher’s political career. Police Minister Simon Corbell has shot down ACT Opposition Leader Jeremy Hanson’s calls to arm all frontline police officers with tasers. In a private member’s motion former Australian Army officer Hanson requested that provisions be made for all officers to be issued with tasers. Currently, only sergeants are allowed to use the weapons, which was a position Corbell previously argued for against the Greens. It was no surprise to see Hanson use Corbell’s own ammunition against him. The motion will be defeated as Corbell’s stance on tasers has mysteriously softened with Rattenbury’s presence in the Assembly. Like Batman’s bat-signal shines in the Gotham night-time sky, Giulia Jones MLA has been called to arms again on learning that tyre slashing has returned to the suburb of Narrabundah. Earlier this year a man was arrested for damaging a car tyre in Narrabundah, and many had hoped that this was the end of what has been a twenty-five-year saga for the residents of the besieged suburb. The question is: is it the same person or do we have a copycat joker on our hands? And will the Liberal Opposition seek to introduce legislation to have anyone found of tyre slashing to be shot on the spot, or at least tasered to death? Perhaps Jones could bat-wing out of Canberra on another taxpayer funded fact finding mission to the city of Gotham to learn just how legends are made. I don’t think that’s completely fair on Nova Peris. True, the devil is in the detail re the Mr Fluffy fiasco. How the ACT Gov’t will contain costs to b$1 is anyone’s guess ! I suppose any amount over that will be paiod for by ACT Ratepayers anyway, so why would the ACT Gov’t give a toss about that. This will be a festering sore on the ACT Labor/Greens Gov’t for yearsd to come I’m afraid. I suspect few will be happy with their settlement. Also, the Benefits Costs Ratio (BCR) or the business case for the Light Rail is to be released Friday 31/10. I suspect that the latter has far more potential to cost the current ACT Gov’t the election in 2016, than the Mr Fluffy fiasco though. IMHO, ACT Labor seem almost certain to lose an existing seat in Tuggers. Maybe it really will be “one Term Mick” ! ” Maybe it really will be “one Term Mick” !” again. True, the devil is in the detail re the Mr Fluffy fiasco. How the ACT Gov’t will contain costs to b$1 is anyone’s guess ! I suppose any amount over that will be paiod for by ACT Ratepayers anyway, so why would the ACT Gov’t give a toss about that. This will be a festering sore on the ACT Labor/Greens Gov’t for yearsd to come I’m afraid. I suspect few will be happy with their settlement. Also, the Benefits Costs Ratio (BCR) or the business case for the Light Rail is to be released Friday 31/10. Should make intersting reading. I suspect that the latter has far more potential to cost the current ACT Gov’t the election in 2016, than the Mr Fluffy fiasco though. IMHO, ACT Labor seem almost certain to lose an existing seat in Tuggers. Maybe it really will be “one Term Mick” ! I think the Mr Fluffy “goodwill” wll be a thing of the past by next year and in 2016.